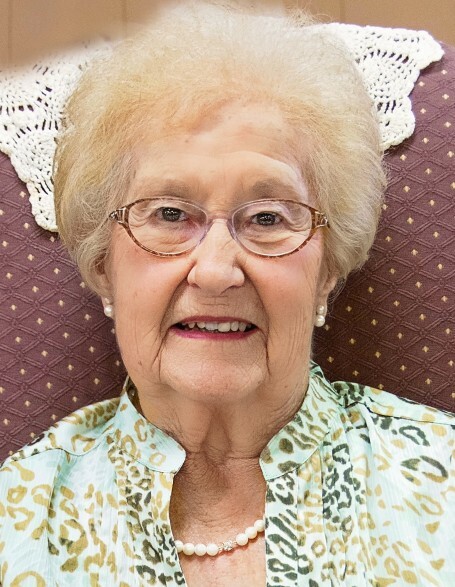 Age 93 of Coal City, passed away peacefully in her sleep on Wednesday, March 27, 2019 at Heritage Health in Dwight. Dorothy was born March 6, 1926 to Thomas and Mary (Kuzel) Favero in rural Will County. She went to the Goose Lake School where she graduated 8th grade. She didn’t go to high school as she worked on the family farm in Braceville. When she was sixteen, she cooked meals at a boarding house in Wilmington for the men that worked at the Arsenal. In 1943, Dorothy moved to Coal City to live with her Aunt and Uncle Minne and Henry Lyons, where she worked at R. Granert and Sons, Inc. clothing which was located above where the Coal City Pharmacy is located now. She sewed ladies coats, making 50 cents an hour. She later moved in with Hazel Lewis in Coal City. On October 12, 1947 Dorothy had her first date with Elvin Wills, and they went on to marry April 17, 1949 in Assumption Catholic Church in Coal City. They purchased a farm in 1950, and continued to live there for the following 45 years. In 1988, after semi-retiring Whitey and Dorothy built a home in Coal City, where they resided for the remainder of their lives. Dorothy and Elvin loved to travel. Dorothy was a homemaker, mother and an avid Cubs fan. She also sold Avon for over 45 years, winning numerous trips and awards. Dorothy was a member of the Sulphur Springs Arbor of Gleaner Life Insurance; Grundy County Home Extension, and served as a supervisor for many years at the 4-H fair in the food and clothing division. She was also a member of The Martha’s at Assumption Parish in Coal City. In her younger days she was an avid bowler, bowled on a Thursday night ladies league, and attended state bowling tournaments. Dorothy is survived by her son, Mark (Penny) Wills and daughter Debbie (Fred) Ruetz, both of Coal City; one sister, Marge (John) Broucek of Braceville; two brothers-in-law: Norman (Joanne) Wills and Paul (Emilie) Wills; one sister-in-law: Ester (the late Donald) Wills; five granddaughters: Kerri (Shawn) Minuth, Crystal (Ashley) Wills, Kelley (Ted) Deahl, Katie (John) Jones, Emmy McIntire, and a grandson Trevor McIntire; four great grandchildren: Cameron and Norah Minuth and Ethan and Brayden Wills, as well as many nieces and nephews. Dorothy was preceded in death by her parents; husband, Elvin “Whitey”; two sisters: Mary Jane Favero and Barbara (George) Boyd; two brothers: Thomas (Jessie) Favero and Anton (Dorothy) Favero, and a step-brother, Frank (Vera) Kuzel. The family will receive friends for a visitation at Assumption of the Blessed Virgin Mary Roman Catholic Church, 215 South Kankakee Street in Coal City on Saturday, March 30, 2019 from 9:00 a.m. until the time of funeral service 11:00 a.m. A Mass of Christian Burial will be celebrated with Reverend Robert Noesen presiding. Burial will be in Mount Olivet Catholic Cemetery in Wilmington, where Dorothy will be laid to rest with her late husband Elvin. Pallbearers will be: Steve Broucek, John Broucek, Scott Wills, Trevor McIntire, Tony Favero and Doug Wills. Bud Bruno and Jeff Wills will be honorary pallbearers. Preferred memorials may be made as gifts in Dorothy’s memory to the Assumption Parish Building Fund, 195 S. Kankakee Street, Coal City, IL 60416; Heritage Health Activity Department, 300 E. Mazon Avenue, Dwight, IL 60420 or to Joliet Area Community Hospice, 250 Water Stone Circle, Joliet, IL 60431.